Over 300 corals, sea anemones and coral reef fish spawned and raised at the Burgers’ Ocean aquarium at Burgers’ Zoo in Arnhem are being shipped to England on Wednesday, the zoo announced on Tuesday. 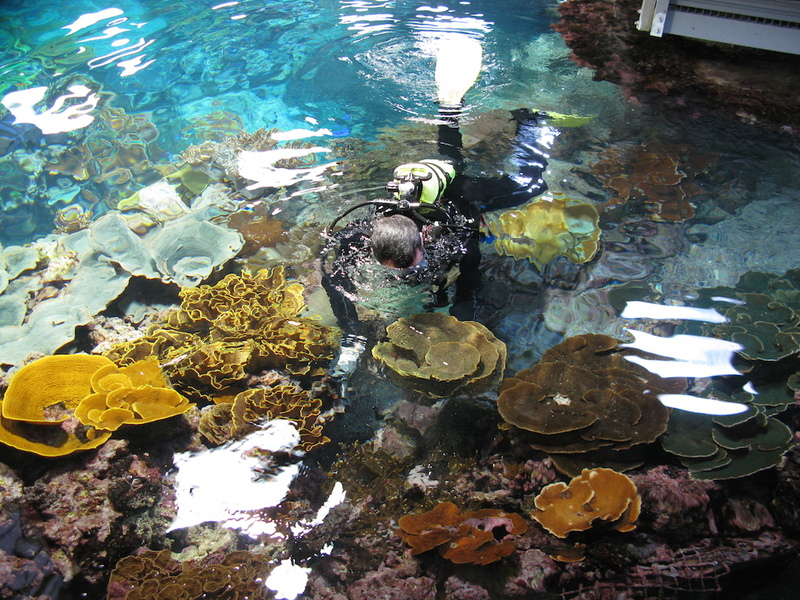 Burgers’ Zoo, which has been exceptionally successful at growing coral in its tanks, has been supplying tropical coral to other European aquariums for a number of years. The London Aquarium is building a special tank to grow a living coral reef. The base of the reef is formed by some 170 stone corals capable of building a sturdy skeleton. Chester Zoo will receive 10 corals and 10 sea anemones from Burgers’ Zoo. Burgers’ Ocean boosts the biggest living coral reef in an aquarium in Europe which lives in a tank filled with 750,000 litres of water. Most of the corals shipped to England come from this reef and some were grown separately. ‘We are happy that our coral reef is growing at such a rate that we have to cut it back from time to time,’ biologist Max Janse said.